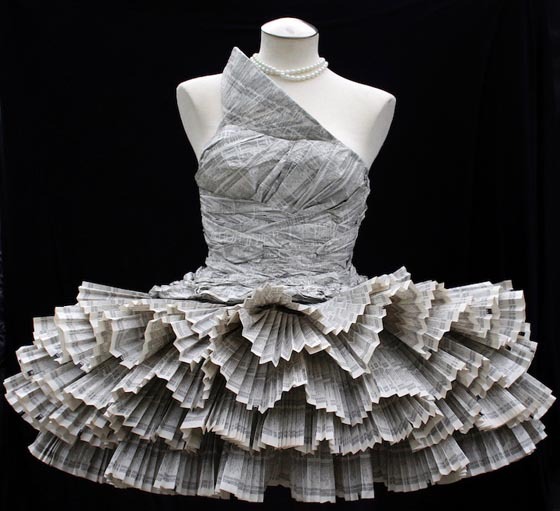 There are many creative examples of Paper Dresses on our site, such as newspaper dress, toilet paper dress. These dresses are either for photography or window display only, which means they are not quite wearable. 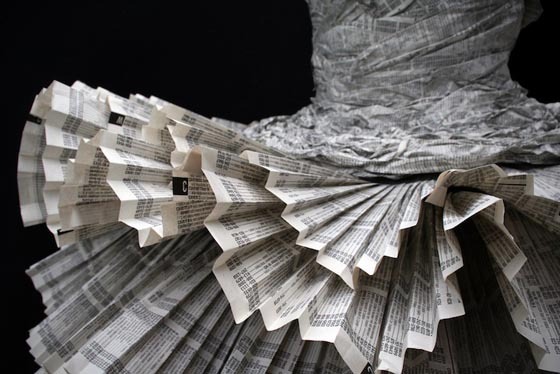 But the phonebook dress we presented today by Jolis Paons are not only fashionable but functional as well. 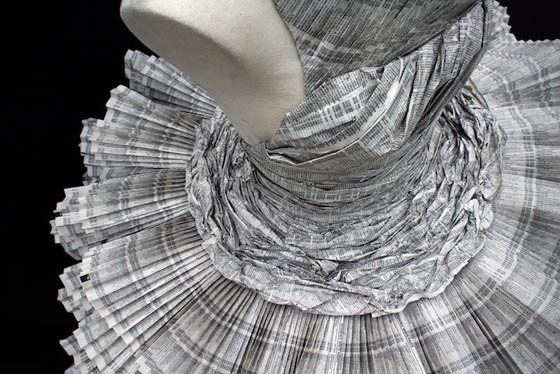 The meticulously constructed outfit is made entirely of the monochromatic pages of phonebooks. 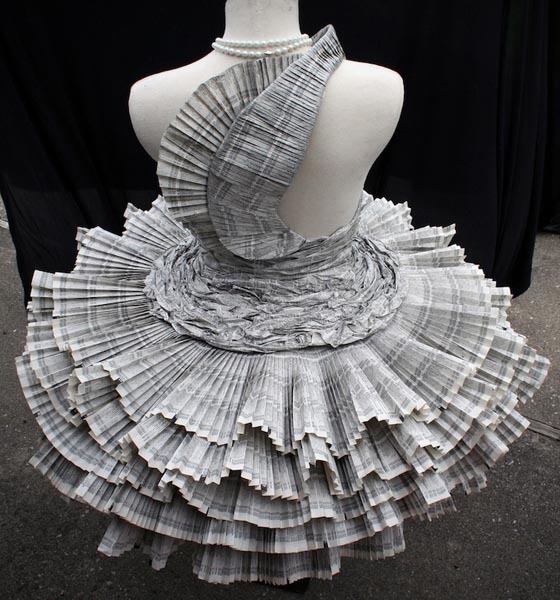 Jolis designed and made this paper dress for her Creative Processes class. 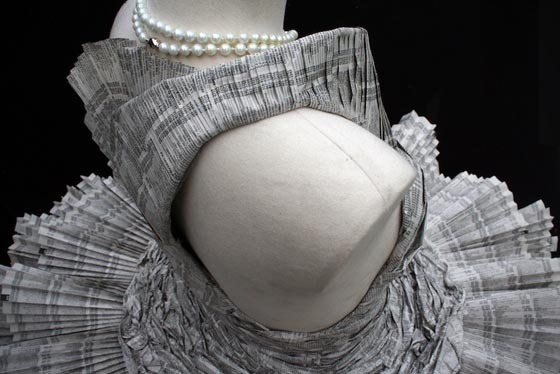 She pleated, stuck, sewed, and glued everything by hand. It’s amazing what you can do with simple resources when creativity is involved.